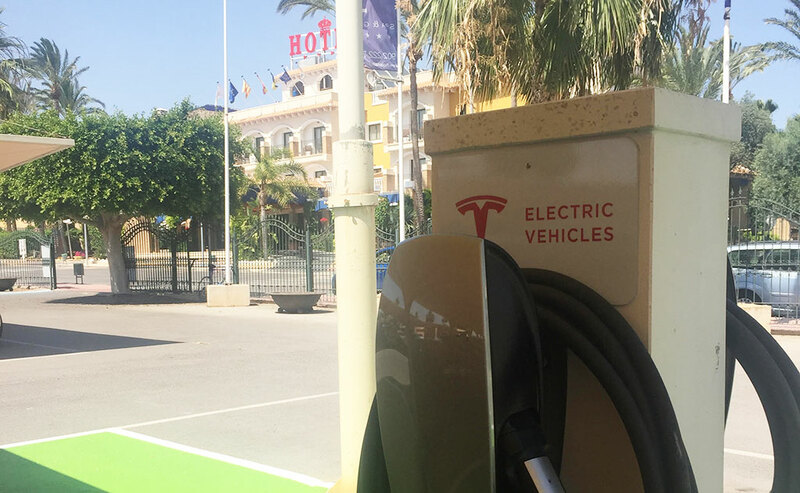 Electric loaders and Tesla in Hotel of the south of Alicante. From Hotel La Laguna Spa & Golf we know the importance of the environment and our involvement with it is total. And for that, every day we are increasing our involvement and reduction of gases. The latest initiative we have developed in this regard is the installation of 2 chargers for electric vehicles, Tesla brand. Chargers adaptable to a multitude of vehicles, our Tesla Wall connector can be used to load vehicles from Tesla itself or other electric vehicles of other brands.